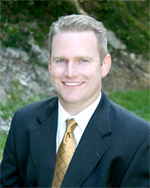 D. Todd Smith is a certified specialist in civil appellate law. He teaches a course about appellate practice and procedure at Solo Practice University®. D. Todd Smith is the founder and president of the Smith Law Group, P.C., a civil appellate boutique with offices in Austin and McAllen, Texas. He launched the firm in 2006 after spending nearly a decade in the Dallas and Austin offices of Fulbright & Jaworski L.L.P., where he was a member of the appellate and litigation practice groups. Smith earned degrees from Texas Christian University, Texas Tech University, and St. Mary’s University School of Law, where he was editor-­‐in-­‐chief of the St. Mary’s Law Journal. Before joining Fulbright, he served a two-­‐year clerkship with Texas Supreme Court Justice Raul A. Gonzalez. Smith has a statewide practice representing plaintiffs and defendants in all phases of civil appeals and original proceedings. He has handled cases before most of the fourteen intermediate Texas appellate courts, the Texas Supreme Court, and the United States Courts of Appeals for the Fifth, Seventh, and Tenth Circuits. He is also admitted to the United States Supreme Court bar. A significant part of Smith’s practice takes place in trial courts, where he advises other lawyers and their clients and often serves as additional counsel of record. When engaged as a litigation consultant, he assists trial counsel with strategic analysis and briefing, jury charges, and potentially dispositive motions, all with a focus on preserving error and positioning cases for appellate review. A committed bar leader, Smith has chaired the Austin Bar Association’s Civil Appellate Law and Solo/Small Firm Sections and is currently a candidate for election to the ABA Board of Directors. He also serves on the State Bar Appellate Section’s governing council and is former editor of its flagship publication, The Appellate Advocate. He is a fellow of both the Texas Bar and Austin Bar Foundations and sits on the St. Mary’s Law Alumni Board of Directors. Smith is a regular author and speaker on appellate-­‐related topics and teaches an appellate practice and procedure course at Solo Practice University, an online resource for law students and lawyers looking to start their own firms. He is the creator and publisher of the Texas Appellate Law Blog, the first website of its kind to focus on Texas appellate practice. Smith is certified as a specialist in Civil Appellate Law by the Texas Board of Legal Specialization. In 2011, he was recognized as a Fifth Circuit litigation star in Benchmark Appellate: The Definitive Guide to America’s Leading Litigation Firms and Attorneys. The same publication listed Smith Law Group as a recommended Fifth Circuit litigation firm. This course provides an overview of appellate law as a practice area for solo and small firm practitioners. In addition to breaking down the elements of an appeal and providing practical tips for handling each element, the course explores other services that appellate practitioners commonly provide and addresses the skills, temperament, and resources necessary to succeed in this practice area. A. Why Practice Appellate Law? 1. Jurisdictional Issues/What Kind of Appeal? Thanks for the great announcement, as well as the tremendous opportunity. Look forward to it! Congrats Todd and welcome to the faculty of SPU. Having an appellate specialist on board is certainly going to add an important element for the students.